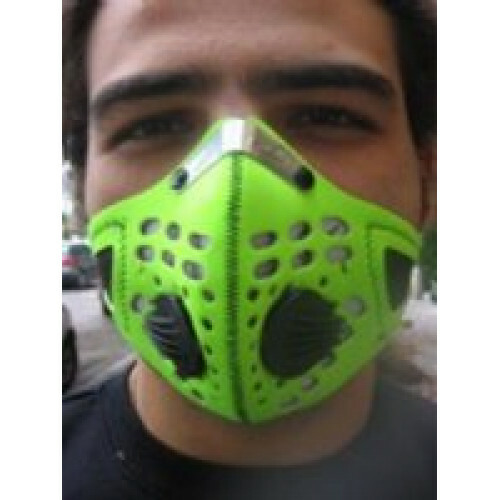 This mask is designated for air filtration, stress on situations when hyper-ventilating due to sports activities or physical work, in terms of off road and or extreme work environment. Mask filters: dust, smog, gravel particles, chemical fumes etc. The mask is made of flexible anti allergenic Neoprene and the filter is made of anti allergenic electrostatic fiber. Two one-way valves are placed on the sides of the mask in order to enable accumulation of air and heat from inside of the mask to be emitted out to the open. A filter is adjusted for about 75 active hours (a month in average) and should be easily replaced. This mask is recommended for dust allergic people as well as other applications such as construction workers ,dusty area workers etc!